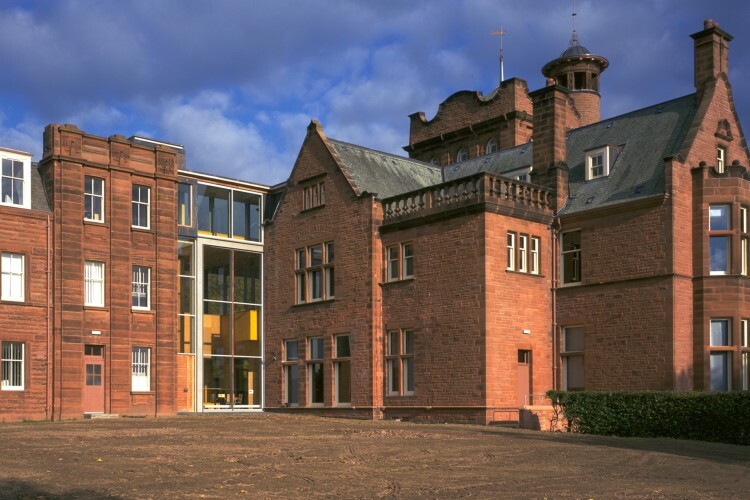 Carmont and Rutherford are Grade B listed former male and female asylum buildings which have been restored and converted to office and educational uses. Designed by Sidney Mitchell, the buildings have almost identical footprints, but are very different in detail and massing. We believe Mitchell took the theme of Romeo and Juliet when developing his designs, and many restored features appear to confirm this. Major repairs were required to both buildings, with Rutherford House particularly affected by water ingress and rot. Grant assistance was provided by Historic Scotland.